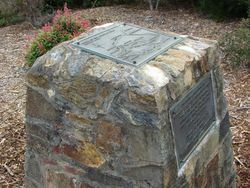 A monument commemorates the "Battle of the Coloured Lines." 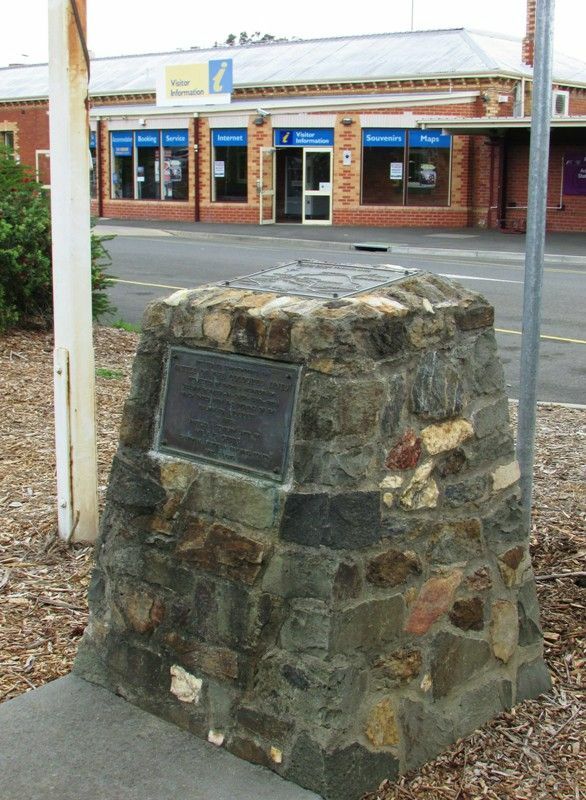 When the railway reached Ballarat from Geelong the Government looked for rail routes to the Western District. 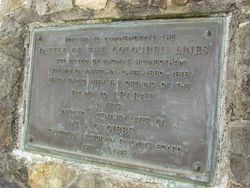 In 1869 a report to Parliament proposed four different routes which became known as the “Battle of the Coloured Lines”. 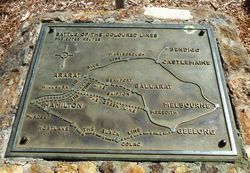 Ararat was in the chosen pink route and received the railway sooner than expected. On Tuesday 6 April, 1875, Ararat had a holiday to celebrate the opening of the Railway from Melbourne. Two special trains from Melbourne brought the official guests and everyone enjoyed a picnic on the Recreation reserve. Two balls were held that evening. RAILWAY TO ARARAT IN 1875.